Few months ago, Lagos State Governor Akinwunmi Ambode was getting endorsements everywhere. Even from strange quarters. He was hailed that he was the best that ever happened to Lagos despite glaring failures in waste management and other sundry issues. That is the stock in trade of sycophants, they portray a paperweight as heavyweight and a perpetual failure as the best man for the job. Strangely, one after the others, the halleluyah chorus singers deserted the embattled governor when the oracle refused repeatedly to fall for their antic of creating a false popularity for the man in Alausa Government House. Where are the hundreds of youths who held a rally for Ambode’s second term from Maryland to Ojota? They have all recanted and gone into hiding like their party elders and leaders who visited Ambode to endorse him. The chorus has changed. The new bride is Jide Sanwo-Olu. That is the nature of politics. It must be done on the governor that the army of endorsers are itinerant political jobbers who survive on prophesying falsely even when the oracle had not spoken. Ambode fell for their sugar-coated empty promises and today he is turned to a pariah. Even the unsolicited millions of naira donated to A-list elite clubs of billionaires in Lagos could not sway the godfather because he understands the turf. He gauges the pulse of the polity through the people at the grassroots and not from elite who had already booked a flight to travel abroad for a short vacation when real voters will be on the queue next February. Lagosians are yet to come to terms with the rationale of donating between N50m and N100m to each of those clubs for a vacuous ‘infrastructural upgrade’ when pupils in many primary schools sit on bare floor to learn. Infact, the needless donation could have built toilets and boreholes in many public schools. COMPLETE NEWS exclusively reports that Lagos Motor Boat Club, for instance got N50m largesse to ‘upgrade its facility’. The general restroom of that club beats conveniences of many 5-state hotels in the state. I have visited a few of them. The restroom speaks class. Yes, its members are classy. Each member owns a multi-million motor boat to cruise the Lagos waterway. Billionaire Femi Otedola and Africa’s richest man are members. Infact, Otedola can access the back of his office on Walter Carrington, Victoria Island from Metropolitan Club using his boat. 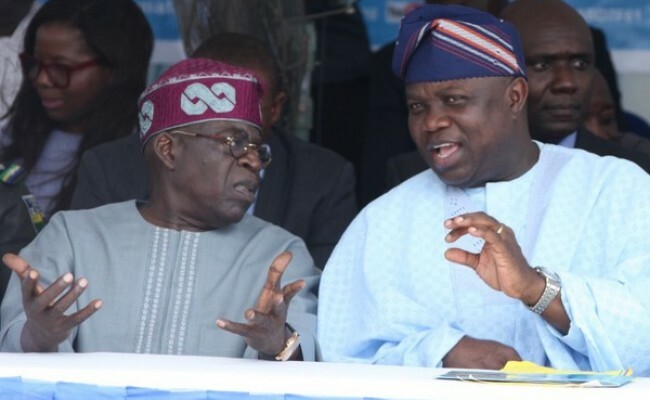 Can the influential elites in Lagos save Ambode as the day reckoning beckons? The battle for the soul of Lagos will be epic.